Hello and welcome to live coverage of Unai Emery's press conference at the Emirates. Arsenal's head coach will be sitting down facing the press reacting to his side's vital 2-1 win against Cardiff City at the Emirates on Tuesday night. 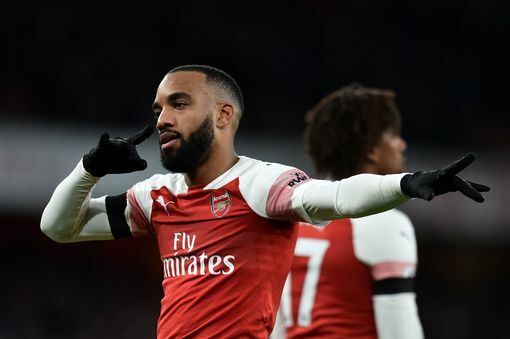 Following the disappointing defeat in the FA Cup against Manchester United, Arsenal needed a win to get some momentum back and they got the result they needed, albeit with a scrappy performance. Goalless at the break, a Pierre-Emerick Aubameyang penalty broke the deadlock in the second half before Alexandre Lacazette's fine individual goal gave the hosts some much needed breathing space. Cardiff did grab a late consolation deep into injury time but it wasn't enough to change the outcome. Emery will now give his take on the game as well as updating the media on Arsenal's attempts to bolster the squad before Thursday's transfer deadline, with a deal for Barcelona's Denis Suarez close. Follow live updates from the press conference right here with our Arsenal correspondent Charles Watts. Now we wait for Emery. I couldn’t see how they were going to score, other than a stupid tackle. If they had the chances we had, I think they would have scored four or five. It’s bound to be [diffiuclt]. What’s went on this week is unprecedented. We wanted to put a performance in. I can’t explain what it’s been like this week. Just not wanting to get out of bed. It was really difficult. I know we have lost a game, but there are more important things. I was proud of the lads, probably the best performance of the season away from home. I don’t think we’ve had 19 shots away from him before. Neil Warnock has arrived first. While we wait for Emery to arrive, why not check out our Arsenal player ratings for tonight’s game? It was a good night for Lacazette ad Guendouzi. Well it wasn’t pretty, but Arsenal got the job done. The Gunners secured a 2-1 win at the Emirates tonight and we’ll be hearing from Unai Emery shortly.